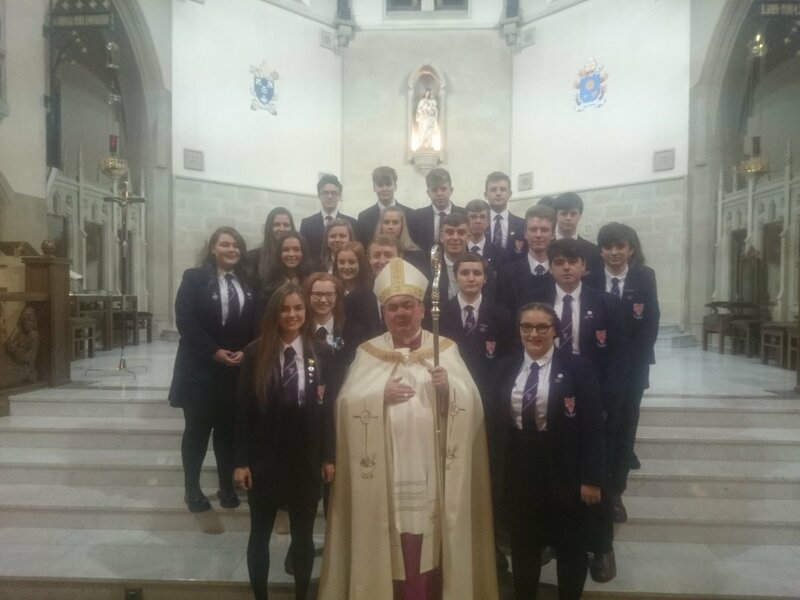 Pupils from across Motherwell Diocese came together for a special Mass at Carfin Grotto to mark the Year of Mercy. Our associated primaries, Cathedral, St Bernadette’s and St Brendan’s Primaries also came along. Here are the photos as evidence, because they were all apparently quite quiet on the day. Everyone thoroughly enjoyed the celebration of the Year of Mercy, from the sing-along hymns on the bus. While they were a bit shy when asked to cheer for their school, the OLHS pupils were not lacking enthusiasm when asked to volunteer as stewards. On Wednesday 15th June, S5 pupils Rahel Agiwaah, Piroska Horvath and Heather Nugent will attend a Young Christian Workers Training Event at the Conforti Centre. YCW groups are new to Scotland but are part of a strong global community of young people campaigning on social justice issues from the perspective of Catholic social teaching. The day will focus on ‘Impact’ which is a programme developed by the YCW for younger members. It places strong emphasis on action led by young people themselves and helps them to explore the link between faith and life in a way which is fun, innovative and empowers them to action. It is hoped that the pupils attending will becoming young leaders and make a positive impact on the school through the training they receive. 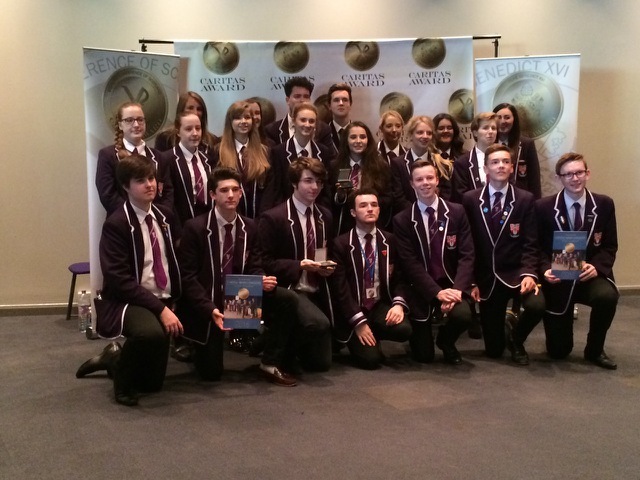 Our Lady’s High School was well represented at the recent Caritas Award Ceremony, on Monday 6th June, at the Clyde Auditorium. 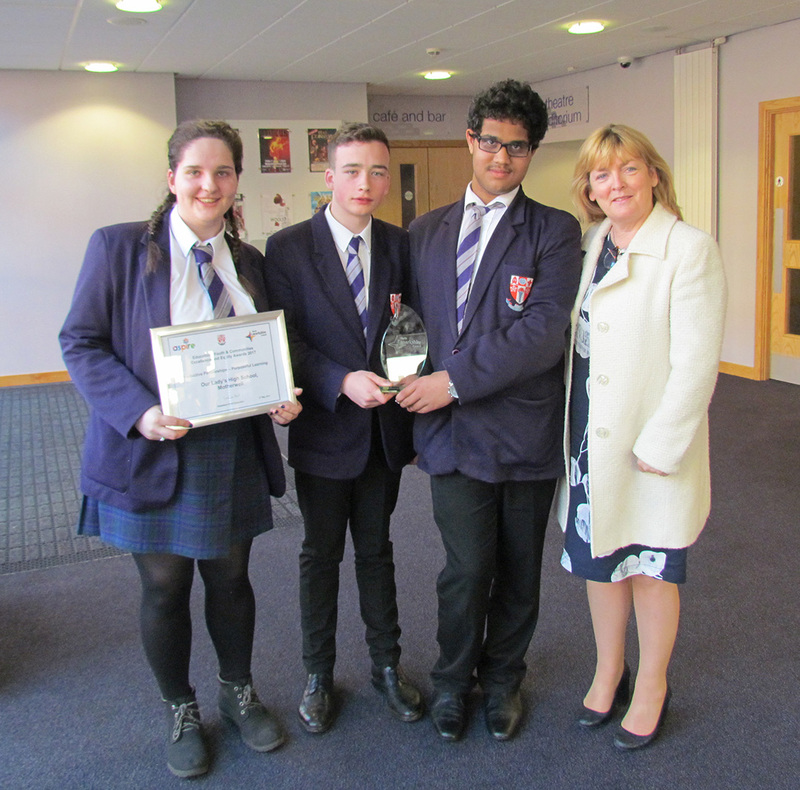 It was a fantastic experience to see 29 pupils from Our Lady’s High School rewarded for their commitment to their faith when they were presented with their Caritas Award. The SCES assessment team were particularly impressed with some of the creative final submissions of our students. Two of our senior students, Nicholas Allan and Konner Millar-Brookbanks, performed the songs they had written as part of their final Caritas submissions. Their performances were both inspirational and spiritually uplifting. Well done to all involved. Click on the image on the left to read this year’s Catholic Education Week newsletter. The S1 retreats took place on 21st and 23rd October at Carfin Grotto and centred around the theme of Recognising God. The day was divided into three distinct sessions. The first of which was entitled THE NAME OF GOD and was led by, our school chaplain, Father Martin Delaney. During this session pupils were given the opportunity to reflect on the importance of having a name. They were also encouraged to explore the names used in scripture to describe God. The second session of the day was entitled THE FACE OF GOD and was led by Mr McHugh. During this session pupils were asked to consider how God has made himself visible to us throughout history and how this impacts on our daily lives. Our pupils took part in a variety of activities ranging from creating acrostic poems to undertaking the Face of God Treasure Hunt. The pupils were also asked to reflect on the presence of Christ in the Sacrament of the Eucharist when they attended Mass. The final session was entitled THE PRESENCE OF GOD. During this session the pupils also enjoyed a guided meditation led by Father Martin which was a very peaceful and calming exploration of a different way to pray and reflect on our relationship with God. S6 Caritas students assisted pupils and staff throughout the day of retreat. Their help and support was very much appreciated and only added to a very enjoyable and worthwhile day. RMPS pupils in 6th year are working on ‘Dysfunctional Families and Crime Unit’, investigating whether there is a link between dysfunctional families and those who commit crimes later in life. Mrs King recreated ‘The Room’ from the novel by Emma Donoghue, using one of the old staff bases, some mouldy cheese to provide a musty smell, some tea-lights for a dark atmosphere and stickers to indicate the low height of the ceiling – pupils over 5’6″ had to bend down. After experiencing the room for a short time themselves, pupils discussed how such horrible conditions would affect young people, and whether criminal leanings were an inevitable result of such an up-bringing. Miss McGinness and Fr Martin Delaney contributed to the class discussions. Some S4 pupils attended the Ur Space Retreat on Monday 8th June in St Thomas’ Parish Hall. The retreats were led wonderfully by Sister Bernie, Sister Jill (Salesian Sisters of St John Bosco) and Elizabeth Miller (Motherwell Diocese Youth Officer) and centred around the theme of Prayer and Our Relationship with God. The pupils, who attended the retreat, enjoyed a series of activities based on the theme of the day. These ranged from a creating a Prayer Web to designing and making a Prayer Candle. The pupils also enjoyed the guided meditation led by Sister Bernie which was a very peaceful and calm exploration of a different way to pray and reflect.